Bids for the renovation of the Cacapon Resort State Park lodge in Berkeley Springs, West Virginia have come in on budget and work will soon begin on the multi-million-dollar project. That’s according to Governor Jim Justice. The state received a low bid of $25.38 million from Paramount Builders of St. Albans, Justice said. Work on the lodge will include adding 78 guest rooms, a dining room, lounge, spa and indoor pool. The project will be funded by bonds financed with excess lottery revenue. Other upgrades to the park, using money from the parks improvement bonds the Governor approved earlier this year, will also be completed. They include remodeling each existing guest room, creating new conference space, renovating the lobby and upgrading utility and electrical equipment. The work is scheduled to be completed by 2020. The lodge, which was built in the 1950s is one of the park’s main attractions. 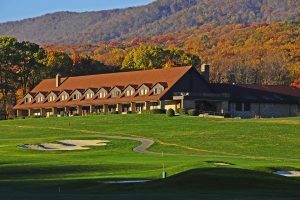 The park also has 31 cabins, a twelve room inn, a large conference room, restaurant, horse riding, tennis courts, basketball courts, a sand volleyball court, hiking trails, a nature center, and a Robert Trent Jones Sr. designed 18 hole golf course.